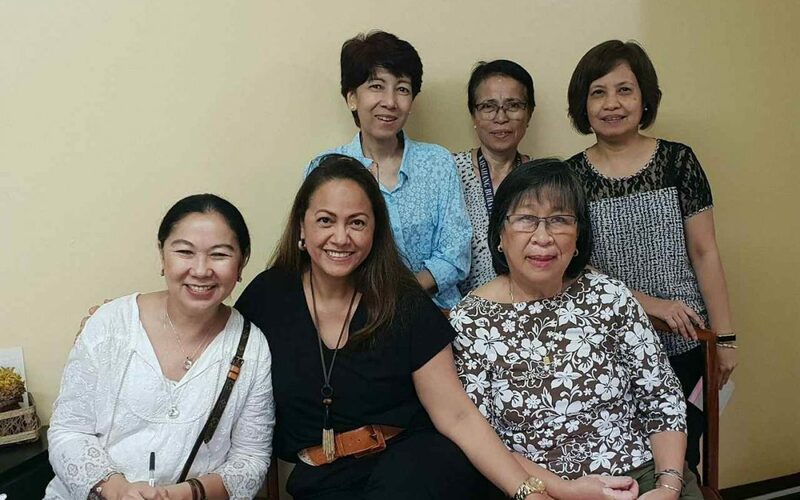 A JOYFUL REUNION WITH KBF ADOPTIVE MOM, MARITESS GROFF | Kaisahang Buhay Foundation, Inc.
On April 11, Maritess paid a visit to KBF and recalled how their family grew through our domestic adoption service many years ago. Happy to welcome her were long-time friend Jo Ann de Larrazabal (KBF Board member) and Melissa Moran (Board secretary), Executive Director Marilyn Manuel, Program Director Ofelia Mendoza and Admin Officer Lilian Osuna. The Groff family also gave KBF a generous donation. Many, many thanks, Stephen, Maritess, Sophia and Elias!